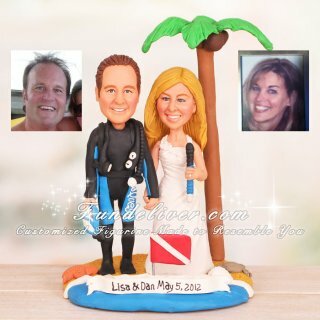 This is a completely customized snorkeler and diver wedding cake topper ordered by one of our customers. 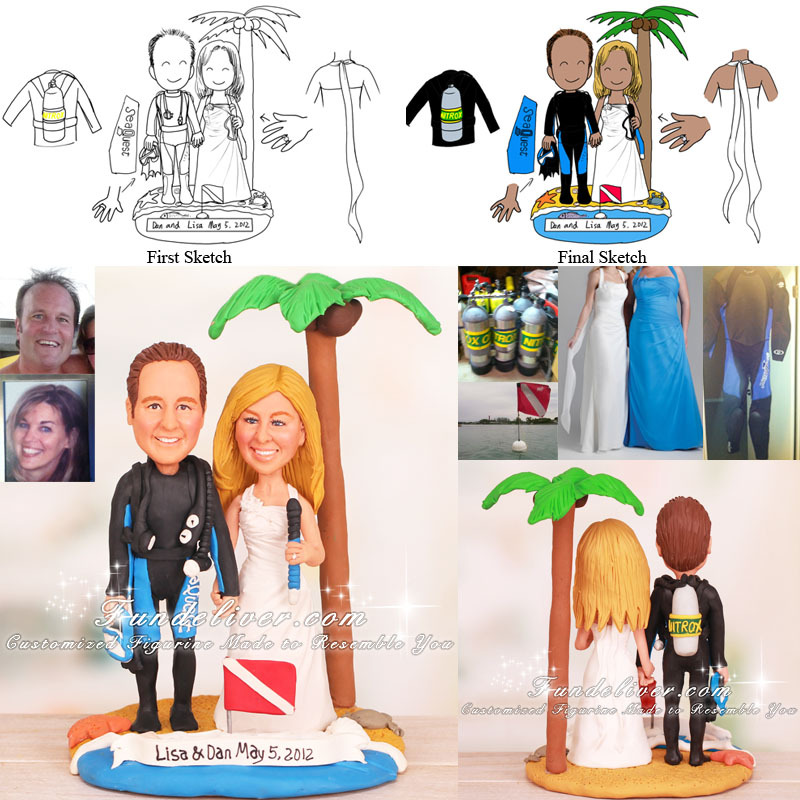 The bride is a snorkeler and the groom is a diver. They would like the groom to be in his wet suit and tank, holding his mask and the bride to be in her white dress, holding her snorkel. They are both standing on a beach with palm tree, sand, ocean, sea urchin, fish and crab. Also they would like to add a small dive flag and a nameplate on the base.